If you like to play video games, you’ve heard of Fallout 76. Whether you’re excited for it or not depends on your feelings about multiplayer, the directions of the franchise, the general concept of Todd Howard, and the weather in the air at that particularly moment. 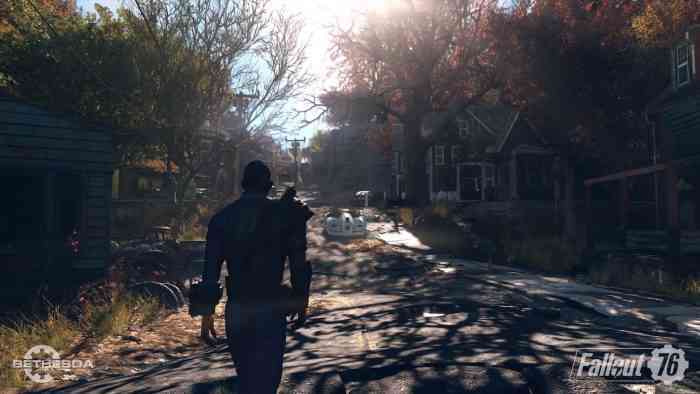 But plenty of people are excitedly getting ready for its November 14th release, and we here at COGconnected are no exception, with three separate gameplay videos showcasing some of what Fallout 76 has to offer. First up, a beautiful video with clips from our footage set over the Fallout 76 main theme, which brings a movie soundtrack experience over the warped landscape of West Virginia, showing that Fallout 76 isn’t lacking in the music department. If you want a little more action and a little less music, we have footage of our player taking down a Scorchbeast, huge bat horrors that teem beneath the surface of West Virginia. Not as a result as nuclear radiation or anything, just, you know, because (no, it’s definitely because of the nuclear radiation). Check out our footage of the battle below. We’ve got more monster battling for you with a shorter video of a takedown of the fabled Flatwoods Monster, one of the promised creatures that resulted from the franchise’s delving into the mythos of West Virginia. That Scorchbeast might have been bigger, but this one’s more likely to haunt your dreams. What do you think of Fallout 76 so far? Are you ready to launch into a world where the only other people are other players and the beautiful hilsl are just brimming with creatures out for your destruction? Let us know your thoughts on the game on Facebook, Twitter, or the Comments section below. Fallout 76 is set for launch on November 14th and will be available on PC, PlayStation 4, and Xbox One. For more information check out the game’s official website.